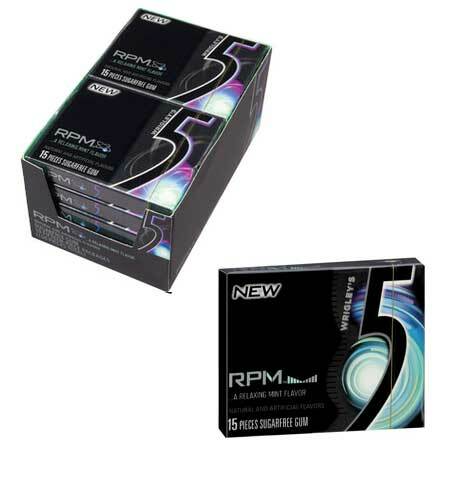 Rev the engines on sales with Wrigley's 5 RPM Mint Gum. This relaxing mint sugar-free gum will take your senses to new heights. The sleek black modern packaging on 5 Gum will easily stand out in your candy shop, grocery, or convenience stores. Make your Pop pop with this exciting new line of sugarless gum that goes beyond simple flavors. Check out the React Fruit flavor as well. What are you waiting for? Order yours today!